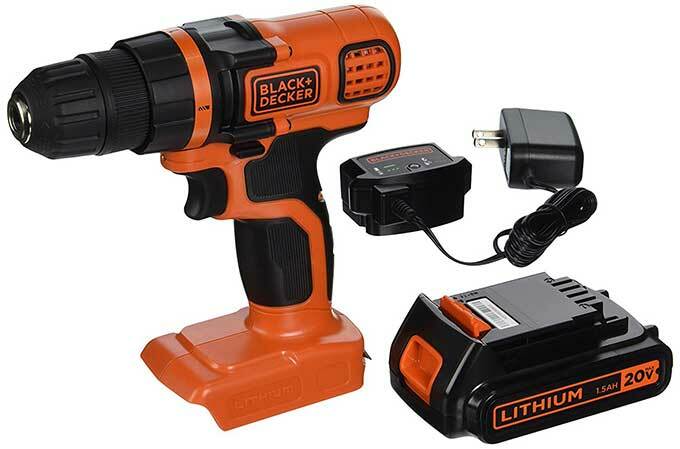 I've been looking around for a cordless drill, and today Amazon put this Black + Decker model on sale for $(removed), so I bought it. I wanted one that was lightweight, has variable speed, and uses a keyless chuck (to accommodate the bits I use with my drill press and corded handheld drill). This one has great reviews on Amazon and for the next 12 hours it's on sale. It comes with a 20-Volt Max Lithium-Ion Battery and charger.